Jose Mourinho was again condemned to defeat in a place he once called home as Manchester United were beaten 1-0 by Chelsea on Sunday at Stamford Bridge. It was Alvaro Morata who scored the only goal that has now helped Chelsea close the gap on Premier League leaders Manchester City back to nine points. 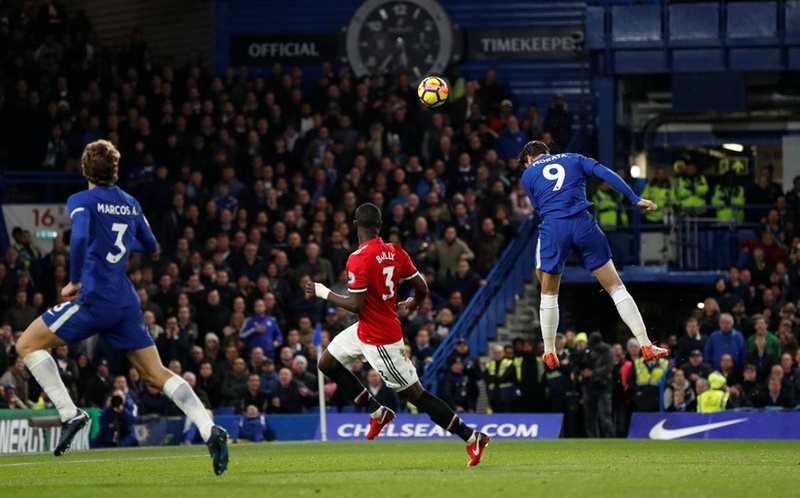 Before Sunday's game, Morata had gone without a goal in six-games but he ended the drought in style in the Super Sunday clash as Mourinho's latest return to the Bridge ended in defeat. While United are now eight points adrift of their local rivals, Man City at the top, Chelsea remain in fourth place but they are now only one point behind Spurs and second-place United. ALSO WATCH Bounce Sports Ep2: Is Something Wrong At Chelsea?